Senior Prize giving cermony took place today. Photo's of some prize recipients are below. 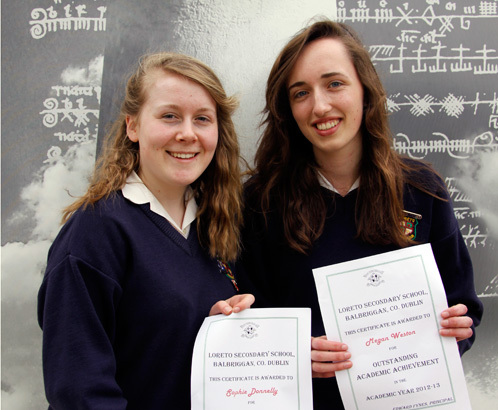 Senior Student of the Year: Deirdre Harford and Ciara McGuinness. Science award: Mieke Guinan. Business award: Christine Byrne. 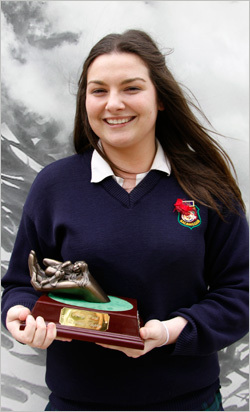 Sports award: Elizabeth McEnaney. 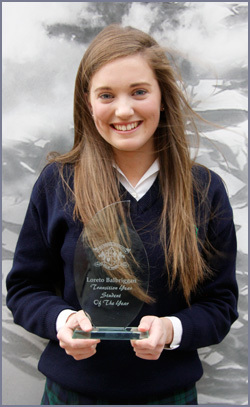 Music award: Eimear Gorey. 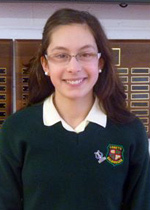 Mary Ward Woman of the Future award: Lauren Behan. Award for Academic Excellence: Sophie Donnelly and Megan Weston. Well done to all our students. Congratulations to all our new student leaders. 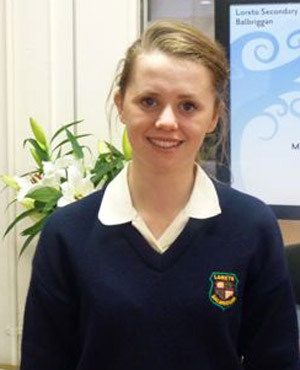 Next year’s Head Girl is Mairead McDonagh. 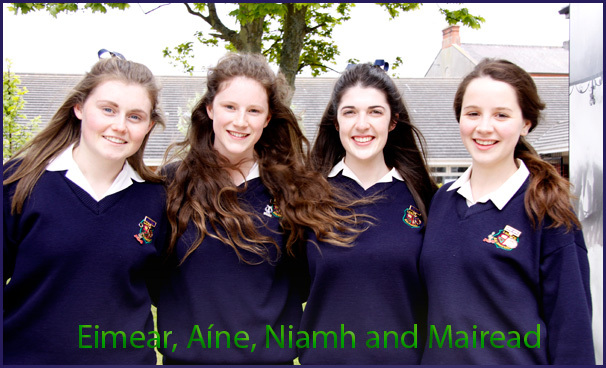 Deputy Head Girls are Eimear Dolan, Aine Gavin and Niamh Gibney. News Update, May 17th, 2013. Congratulations to the following students who had great success in SciFest during the week. 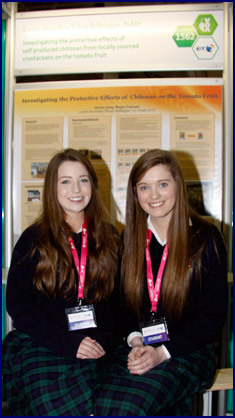 They were: Holly Keogh and Rebecca Feeney who won First prize in the Junior Group Life Science. Lauren Burberry who won First prize Junior Individual Life Science. Well done to Eibhlin McCarthy and Katie Phelan and Grace & Ellie O’Driscoll for their excellent project. 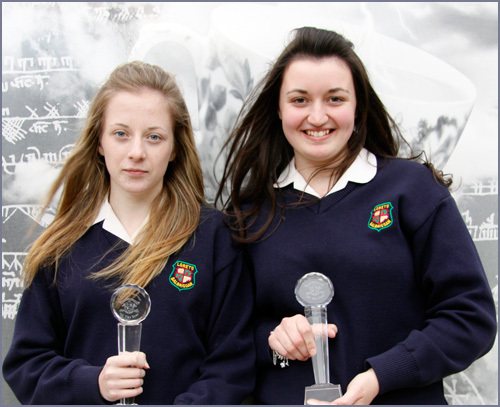 Well done to Ciara Fulham and Anne Holohan who won Texaco Art awards. A wonderful Ceol Loreto Gig took place on Thursday evening. There were fantastic solo, choral and group performances. The Transition Year Musical group performed for the residents of Lusk Community Home. Congratulations to the Transition Year students, Victoria Fitzsimons, Megan Freeman, Laura Hennelly McCarthy, Orla McMahon & Erica O’Neill who have won the prestigious “One Good Idea” competition. The girls were presented with their trophy by Minister for Communications, Energy and Natural Resources, Pat Rabbitte. The girls were greatly supported by their teacher, Ms. Olivia Derwin. A wonderful Green School Day occurred on Friday, 3rd May. Amongst the activities were Waste Awareness, Litter Patrol, Green Acts of Random Kindness and Green Games. Transition Year music students had a 2 day song writing course. 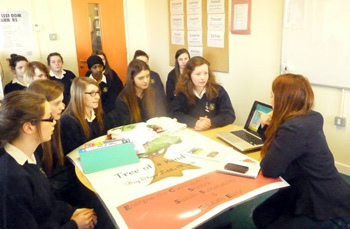 First Year students had Anti Bullying workshops. The performance group ‘Humourfit’ presented the workshop. 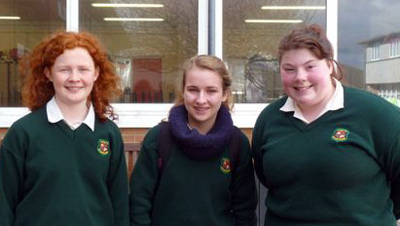 Fifth Year students had their Oral Irish examination. They were examined by external examiners. 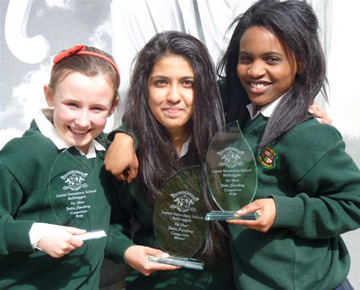 The winners for the First Year Public Speaking Competition were 1st place - Mahnoor Choudhry, 2nd place - Orla Thompson and 3rd place - Christabel Enabulele. 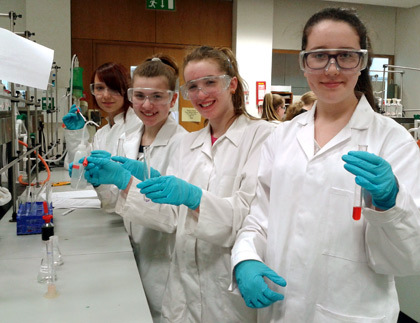 Well done to first year students Dagmara Dobkowska, Sofia Patriarca, Saoirse Waddilove and Ellie Mortimer on coming Third in the Salters Chemistry Festival Competition , which they attended in Trinity College Dublin, with Science teacher, Ms. Keane, on Saturday May 11th. First & Second Years had their sports afternoon. 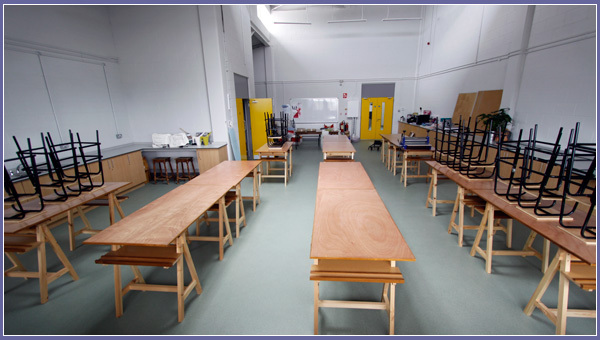 Practical Leaving Certificate and Junior Certificate Art examinations took place. Orals and Practical Examinations continued this week. All Transition Years attended CauseyFarm on Wednesday for a day experiencing traditional activities and crafts. Well done to all the athletes participating in this year’s North Leinster competition. Well done especially to Eryn Devine on winning gold in the U.16 mile competition and Karen Emelu on her silver medal in the shot putt. Students involved in the Exercise Energise module were involved in a range of activities this week. 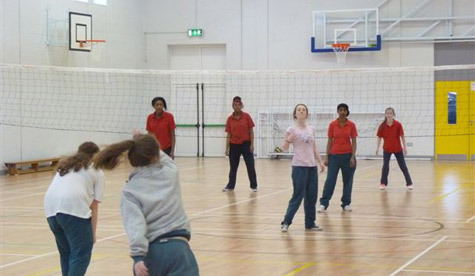 Well done to the volleyball team on their performance this week. Transition Years had a Local History tour of Balbriggan. Mr. Jim Walsh was the expert tour guide. There were RSE talks for 4th Years this week. A T.Y. group attended the Drive Awareness Course also this week. 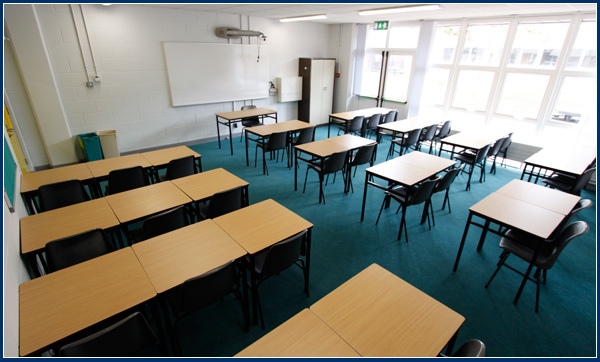 Leaving Certificate Oral and Junior Certificate Practical Examinations took place this week and will continue in the week ahead. The 4A class took part in a week long film studies workshop. They performed and directed a school film. The Mock Trial Group will be involved in the Mock Trial Final on Saturday, 20th. 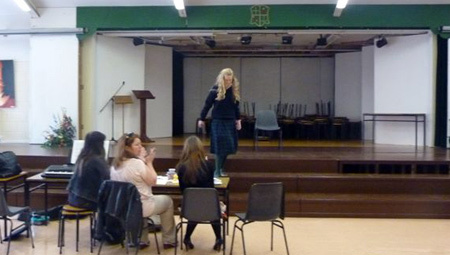 Catherine O’Connor gave a talk to parents entitled “Cracking the College Code” on Monday evening. It was most informative. The Local History Transition Year class visited a number of sites in Dublin City Centre. Well done to the Gaelic team on their performance and victories this week. Transition Years were on a Driving Course. Well done to all the athletics team who participated in the North Leinster Athletics. Especial congratulations to Karen Emelu for her medal in the shot putt. 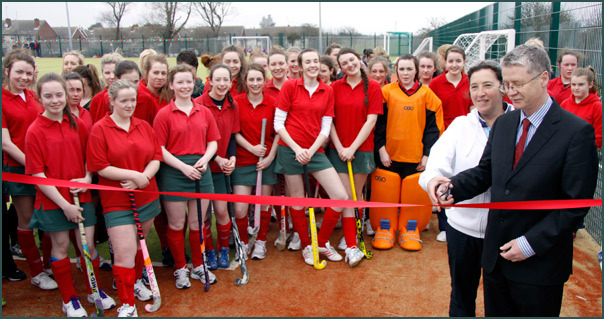 The official opening of our new astroturf pitch took place today. The senior hockey team played a select team of past pupils. Congratulations to our Sixth Year students who have been accepted into the National College of Art & Design and Dublin Institute of Technology. Seven students will attend N.C.A.D and two will attend D.I.T. 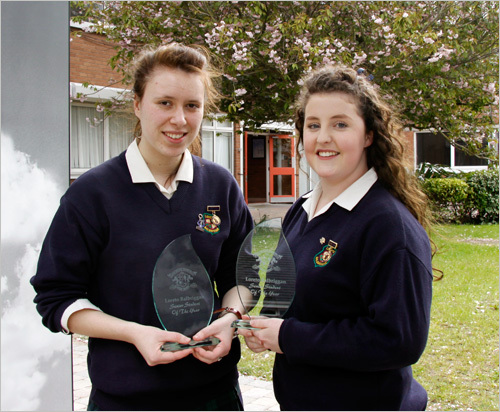 Well done to the following Loreto students who won awards in the Texaco Art Competition. 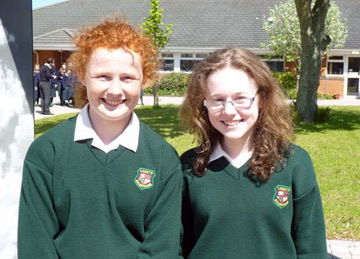 They are Aoife Donnelly, Sinead Farrell and Annika Hegarty. 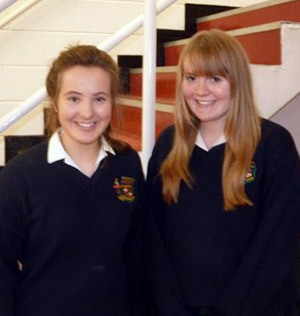 Best wishes to our two students representing the school in the Loreto Public Speaking Competition. 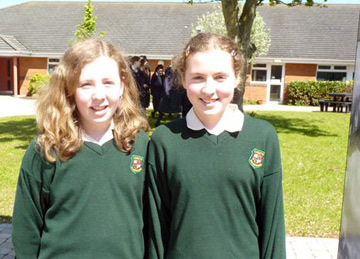 They are Sophie Donnelly (Senior) and Louise Harmon (Junior). 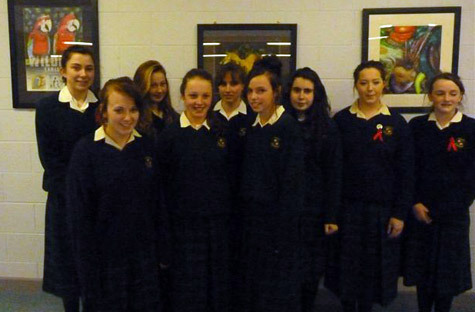 The school were delighted to welcome our sister Australian school, Loreto Ballarat, to Balbriggan this week. The First Year Retreat took place on Wednesday and was followed by an evening for parents. Transition Year Home Economics students are attending CloughJordan Eco Village this week. Well done to the soccer team on their performance this week. Best wishes to the school’s golf team in the Leinster Inter School’s competition on Friday, 12th. The school’s Intercultural Day took place on Friday, 22nd March with a wide range of activities including a concert highlighting the various cultures, displays of food and an intercultural world cup. Ireland defeated Nigeria in the final! 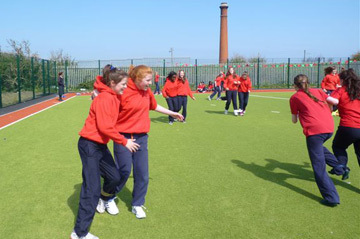 There was a soccer blitz on our new astro turf pitch during the week. Careers Interviews for Fifth Years took place during the week. There was a Third Year CSPE trip to the European Commissioner’s Office. Second Years were on Geography trips to the Boyne Valley during the week. 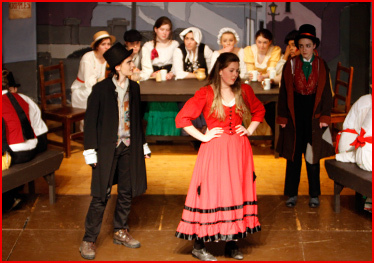 Congratulations to the Transition Years on a wonderful performance of “Oliver”. The musical played to packed houses from Tuesday to Friday. Well done to the school’s equestrian team on their recent performance – Team 3 which consisted of Kate Murray, Ciara Murray and Lorna McGuinness came 5th out of the teams. Kate Murray won the individual class and Ciara Murray came 5th. Other girls who competed on the day were Emma Currivan, Faye Kessie, Anne Berg, Anna Sheridan and Anna Marie Mulligan. Twenty T.Y. 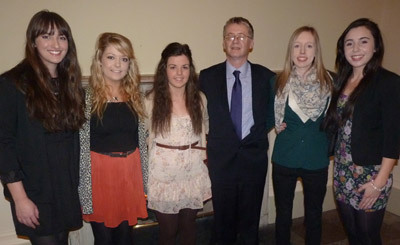 students attended the “Your Choice – Your Life” Conference in the Bracken Court Hotel. There were inputs on a wide range of issues ranging from mental well being to cyber bullying and substance abuse. 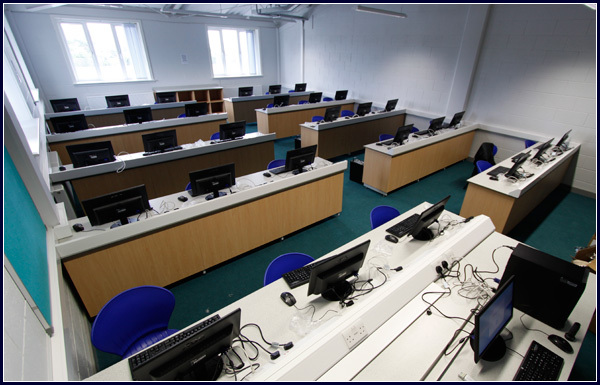 Supervised Study for 3rd and 6th Years will take place from 1st April to the 5th April. Well done to the senior Volleyball team on their performance this week. 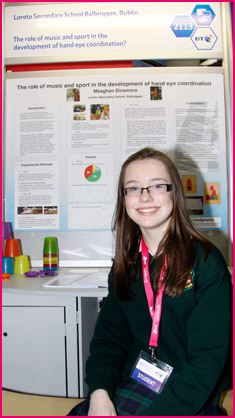 Congratulations to Lorna McGuinness (2nd Year) on winning the Mathematics in Science Award at Scifest DIT on the 22nd March. 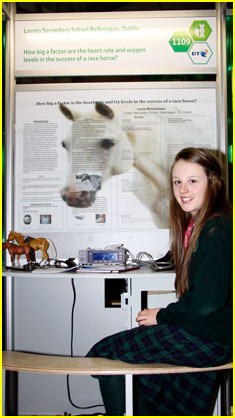 The title of her project was “How big a factor are the heart rate and oxygen levels in the success of a racehorse”. World Book Day was a wonderful success. Staff dressed as characters from literature which led to much discussion. Drop Everything and Read was also a successful part of the day. 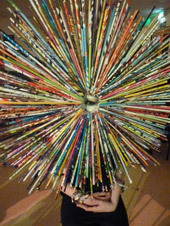 The school library held a week long book fair that attracted much interest. Congratulations to the Under 14 G.A.A. team on their win and performance against Colaiste Isogain. Congratulations to our four transition year girls who represented the school so well in the Student Enterprise regional finals held in Blanchardstown on Tuesday 11th March. Shannon Thomas, Uxoa King , Shannon Richardson and Jenna Richardson. 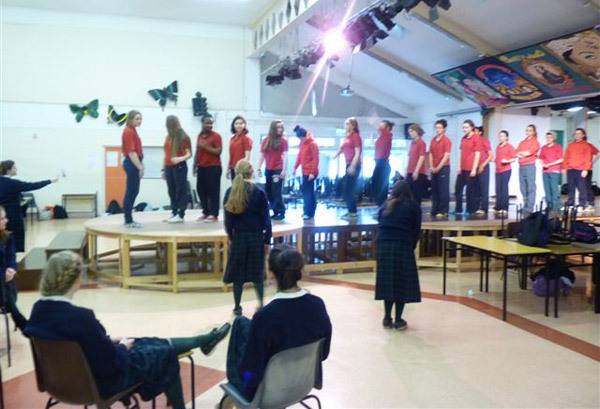 Rehearsal for the Transition Year musical “Oliver” are intensive this week. 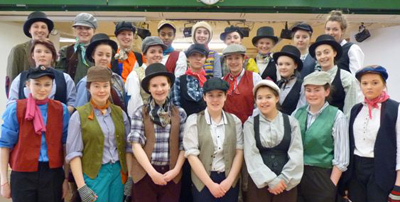 The musical will be performed from Tuesday to Friday, 19th – 22nd March. 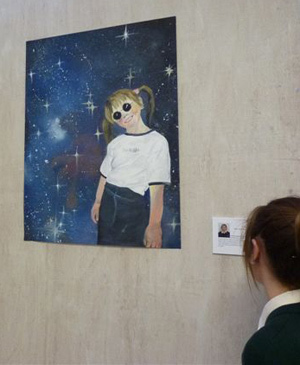 Fifth Year students presented a wonderful and thought provoking exhibition entitled “Ways of Being”. Seachtain na Gaelige occurred this week with lots of activities. Transition Year/Senior Cycle Information Meeting occurred on Wednesday evening. Second Year students went on a Geography trip to the Boyle Valley on Friday, 15th March. Art Workshop in NCAD - On Thursday, 14th March, five 5th Year Art students, Eimear Dolan, Kate Thompson, Tara Conlon, Ashleigh Kennedy and Joanne Harold, interested in attending the National College of Art and Design in Dublin were invited by the Craft Council of Ireland and the College itself to take part in a one day workshop of their choice. It was called the “Future Markers” workshop and its aim was to enlighten students on what is available to study in N.C.A.D. and experience it hands on. The students chose one activity each. Three did Glass blowing, one did Print Press and another did Metal Work. All students presented a piece of work from the day and thoroughly enjoyed the experience of the whole day, gaining valuable information and insight. This year's T.Y. 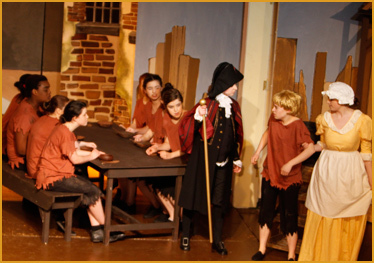 production of "Oliver" will open on Tuesday 19th and will run until Friday 22nd March with show starting at 7:30 p.m. Tickets will go on sale next week. Please contact a member of the Production Team on 0860438321 to book your tickets in advance or for more information. Promises to be a great night! 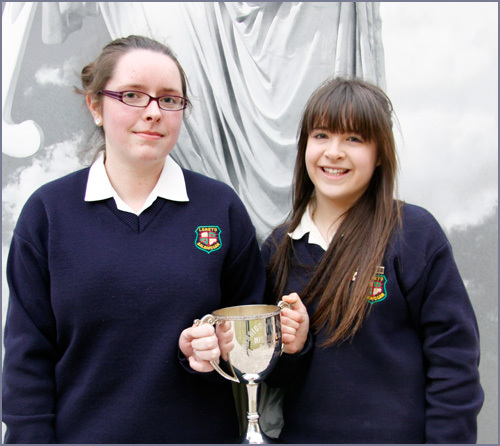 Congratulations to Niamh Egleston & Sophie Donnelly on winning the Loreto MACE debates last week. The Assessment Tests for incoming First Years took place this week. 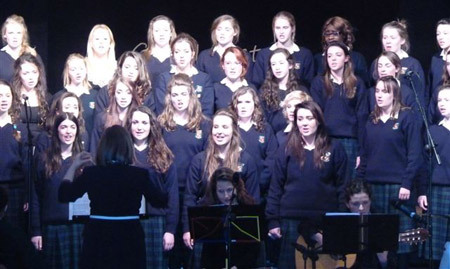 The Senior Choir performed in the Emmanuel Concert in the Helix on Tuesday evening. Transition Years had a photography workshop on Monday & Tuesday. Senior French students attended a French film in the Cinemobile. Well done to the Hockey & football teams on their matches this week. 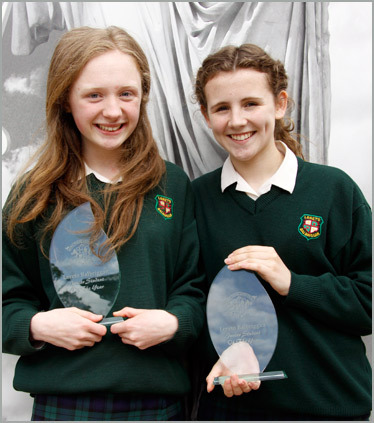 Loreto Balbriggan is delighted to host this year’s Loreto Mace Debate Finals. 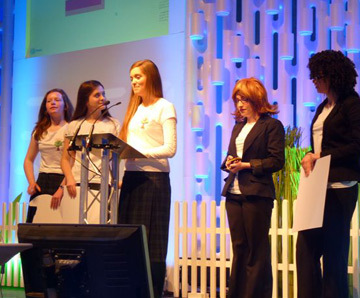 Students from a range of Loreto schools participated in the day long event. 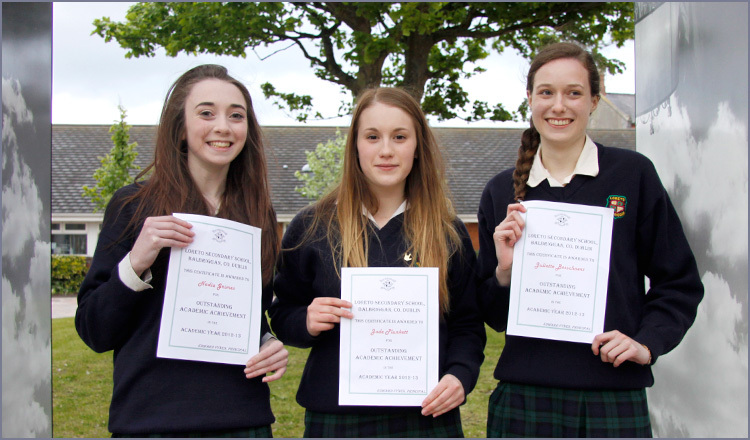 We were represented by Sophie Donnelly, Niamh Egleston, Kate Coscoran and Caroline Brennan. 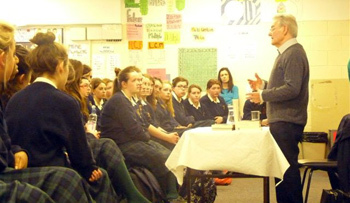 The History Department are honoured to host talks from Tomi Reichental, holocaust survivor and member of the Holocaust Trust. Tomi shared his harrowing experience with senior students. 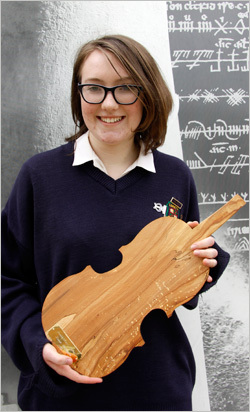 Well done to Adriana Costin, a first year student, a member of the Julianstown Youth Orchestra who played in the N.C.H. Adriana composed the first song called “The Races”. 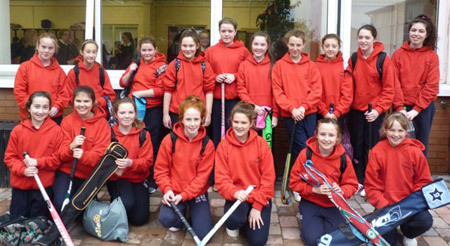 Hard luck to the second year hockey team of their 1 – 0 defeat in the Leinster Quarter Finals. The “Power of One” team were filmed for the events promotional and video. The team presented their project in a workshop. Sixth Year Home Economics students visited Butlers Factory as part of their Leaving Certificate studies. The Transition Year Health & Beauty module has visits from a beauty therapist. Well done to various Basketball teams on their performances this week. 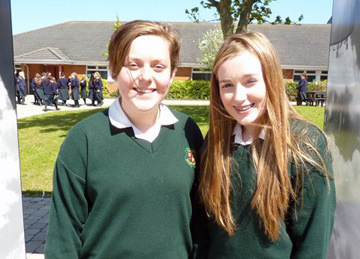 Mock Examinations for Third and Sixth Years were completed this week. Fifth Year students are helping out today with the International Wheelchair Rugby matches. Well done to the Gaelic, hockey, basketball, volleyball and soccer teams in their various matches this week. Transition Years are completing their work experience this week. Transition Years are on their second week of work experience. Best wishes to Lauren Walsh and Hannah Hawkshaw in the North Leinster finals of the All Ireland Schools Talent search in Mullingar this weekend. Well done to the First Year football team on their match against Loreto Swords. Congratulations to the Basketball team on their matches this week, they won 3 – 1. Please see the attached letter from Sr. Noelle Coscadden in relation to the work and fundraising for our newest school, Loreto Rumbek in South Sudan. 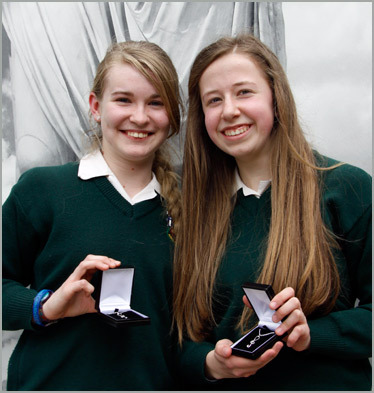 Congratulations to Sophie Donnelly and Niamh Egleston on coming runners-up in the Trinity Philosophical Society Debating Competition. Best wishes to the Sixth Year students competing in the Maths Table Quiz in St. Andrews, Booterstown. They are Deirdre Harford, Eniola Kasim, Coleen Kelly, Clara Hynes, Ashling Duff, Ruth Hanrahan, Sinead Boylan and Eimear Gorey. Best wishes to Alice O’Neill who represented the school in the Leinster final of the Soroptimist Public Speaking competition. 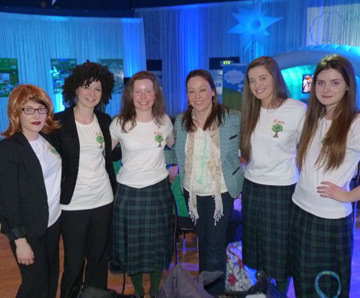 Well done to Laura Hennelly McCarthy, Victoria Fitzsimons, Orla McMahon, Erica O’Neill and Megan Freeman on reaching the finals of the “Power of One” environmental competition. Well done to Aine McCarthy, Eibhlin McCarthy and Eryn Devine on reaching the finals of the North Leinster Cross Country competition. Well done to the hockey, basketball and soccer teams on their performances during the week. Mock Examinations are beginning next week for Junior and Leaving Certificate students. An excellent Mental Well Being week was held in the school. Among the activities organised were: A time out film for the First Years. 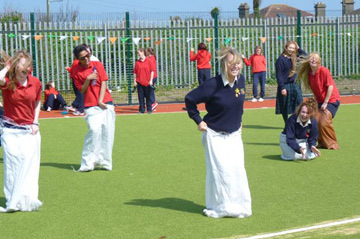 A de - stress package for Sixth Years. Tea and talk for Third Years. Aware Talks. Thought for the Day for Mental Well Being. Zumba Dancing & Hoola Hoop competition (Pic below). 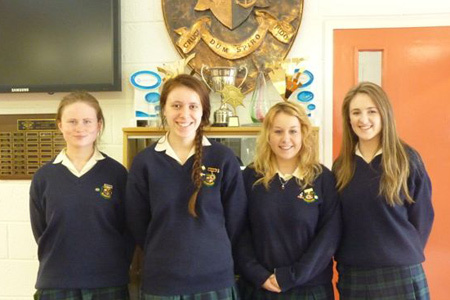 Best wishes to the following in the Wesley Debating Competition today – Eimear Gorey, Niamh Egleston, Laura Hennelly McCarthy, Fiona Garvey and Caroline Brennan. Well done to the Basketball, soccer and volleyball teams on their performances this week. Junior & Leaving Certification students are preparing for their Mock Examinations. 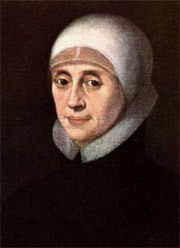 This week is Mary Ward week – the week when we remember our foundress, Venerable Mary Ward. Today January 23rd is her birthday. She was born in Mulwith near Ripon in Yorkshire. She lived in an England torn apart by religious persecution and intolerance. Despite these difficulties Mary achieved a huge amount during her lifetime. She established schools for girls throughout Europe. Her story is as interesting today in the 21st century as it was four hundred years ago. 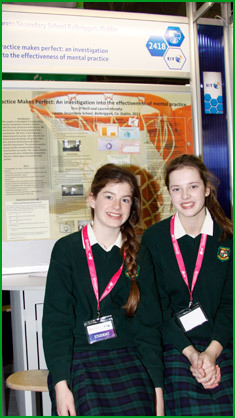 Well done to the school’s seven prize winning projects in this year’s Young Scientist Exhibition in the R.D.S. The girls have worked tremendously hard in preparing their projects for this prestigious event and have done extremely well. 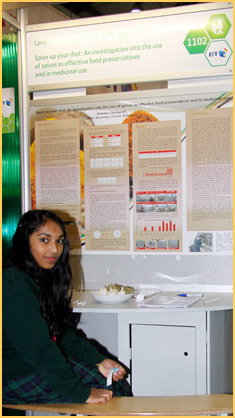 The projects are as follows: Renuka Chintapali (2nd Year) Category: Biological & Ecological Sciences, Junior individual. Title: Spice up your diet: An investigation into the use of spices as effective food preservatives and in medicinal use - Finished third in category. Lorna Mc Guinness (2nd Year) Category: Biological & Ecological Sciences, Junior individual. Title: How big a factor are the heart rate and oxygen levels in the success of a race horse? - Highly Commended. 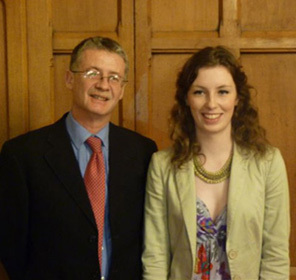 Alice O’Neill (4th Year) Category: Biological & Ecological Sciences, Intermediate individual. 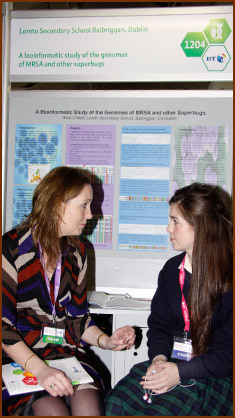 Title: A bioinformatic study of the genomes of MRSA and other superbugs - Finished third in category. 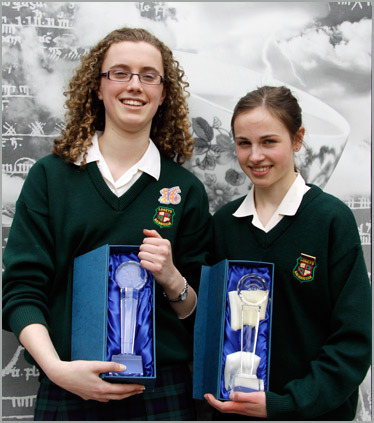 Victoria Fitzsimons, Laura Hennelly McCarthy. (4th Year) Category: Biological & Ecological Sciences, Intermediate group. Title: On Target: A bioinformatics investigation of potential drug targets for cancer - Finished second in category. 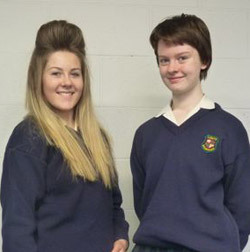 Roisin Lacey and Megan Freeman. (4th Year). Category: Biological & Ecological Sciences, Intermediate group. Title: Investigating the protective effects of chitosan on the Tomato Fruit - Finished second in category. Meaghan Dinsmore. (2nd Year). Category: Junior Individual Social and Behavioural. Title: The role of music and sport in the development of hand eye coordination - Finished second in category. Tess O’Neill, Lauren Murphy. (2nd Year). Category: Junior Individual Social and Behavioural. Title: Practice makes perfect: an investigation into the effectiveness of mental practice - Finished second in category. 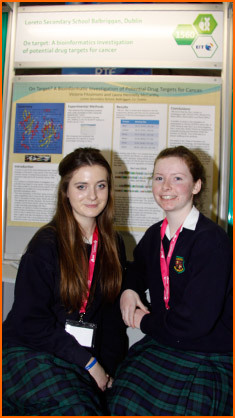 First Year students attended the Young Scientist Exhibition on Thursday, 10th January. Best wishes to students going on the London Music trip. The girls will have a backstage tour of the London Opera House. They will also see the musicals “Singing in the Rain” and “Shrek”. Transition Year Work Experience begins on Monday, 20th. The girls are finalising their placements at present. Transition Year had a Health & Beauty talk this week. The Public Access to Law barrister gave a workshop to Transition Years this Friday. A beautiful Carol Service took place on Thursday, 20th December. A nativity play, readings and carols from a sublime Senior Choir made it a Carol Service to remember (Pic below). 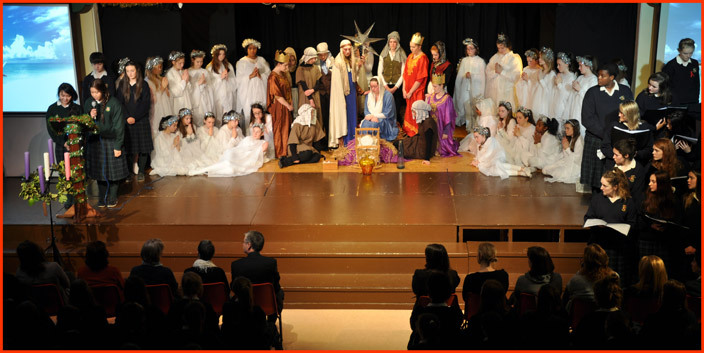 The Staff/Student Christmas Concert took place on Friday, 21st. Sixth Years students visited the Irish Museum of Modern Art this week as part of their Leaving Certificate programme. 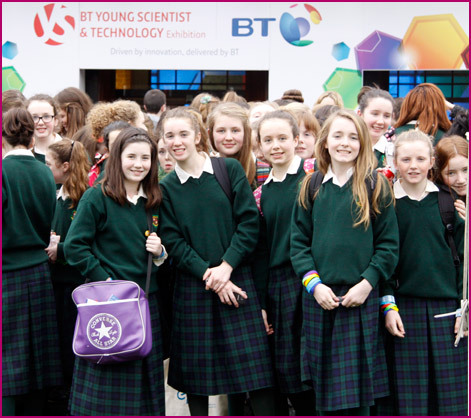 The seven groups of students entering the Young Scientist Competition will be working on their projects over Christmas. Sixth Year had their Relationships and Sexuality talks and also had talks from Aware in relation to mental well being. The German Department held their annual Wechnachtffest during the week. 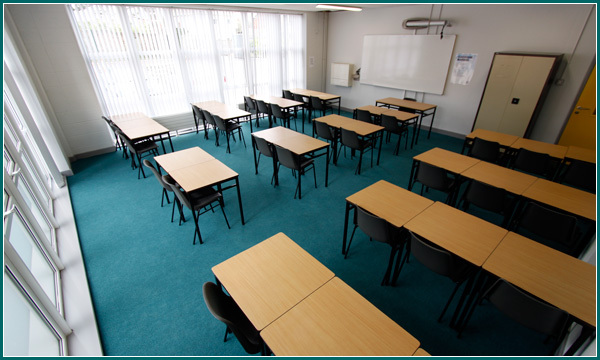 Supervised Study for Leaving and Junior Certificate students will take place on the 2nd, 3rd and 4th January. Congratulations to the Iconic Dance Group who come third out of 1700 acts in the School Stars competition. The show will be broadcast on Sky TV in early January. The group directed by Ms. Karen Ryan and choreographed by Jessica Wylie comprised Jessica Wylie, Nicole Boylan, Emma Egan, Joyce Lievins, Caithlin Duffy, Anna Crowley, Jenny McDonough, Caoimhe McGowan, Niamh McGowan, Andrada Pop, Gillian Duffy and Mary McKeown. The Fifth Year Art students visited the Irish Museum of Modern Art on Thursday, 13th. Well done to the Senior Volleyball team. 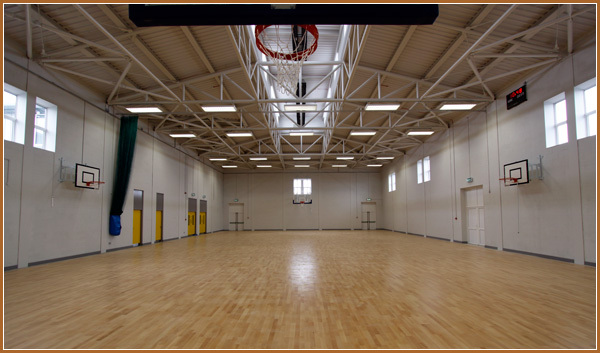 This was the first competitive match in our new Sports Hall. Congratulations to the Junior Hockey team on their victory this week. A fantastic Ceol Loreto Gig took place on Thursday evening. The Transition Year Horticultural team visited a number of gardens in Fingal on Monday. The school community were delighted to receive an exceptionally positive Whole School Evaluation report. Well done to one and all. The Loreto Balbriggan Senior Choir recording of Christmas Lullaby by John Rutter was broadcast on Thursday, December 13th and will be again on Christmas Eve at 10.15 a.m. on Lyric F.M. 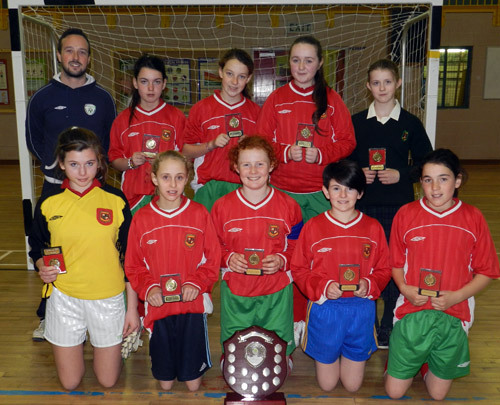 Congratulations to the Futsol team who reached the All Ireland Finals as Leinster representatives. They performed excellently but were narrowly defeated. The team are Dominika Lewkndoska, Yvonne O’Sullivan, Naomi Harper, Eibhlin McCarthy, Shuana Healy, Sorcha McAleenan, Lauren Deweer, Laoise McAleenan and Saoirse McDonough. 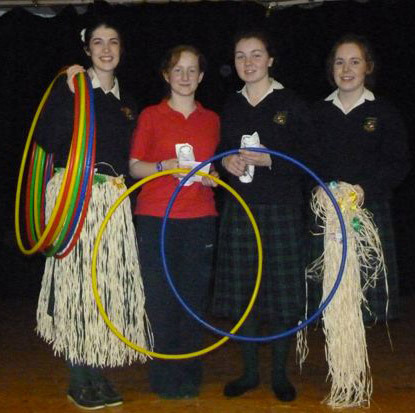 Fifth Year Home Economics Students had a Macbeth workshop in the school performed by “Boil in the Bag” production. Well done to the Equestrian team on their victory at the Killosery Inter Schools Competition. The team comprised Kate Murray, Ciara Murray, Faye Kessie, Ann Berg, Regan Dunne, Lorna McGuinness, Jordan O’Reilly, Emma Currivan and Katie Kiernan. 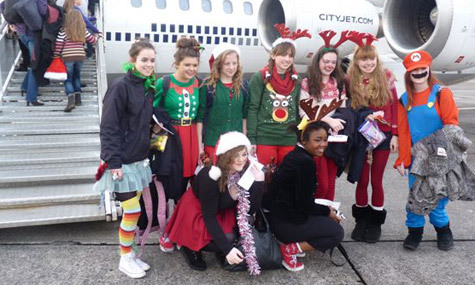 Transition Year students participated in the City Jet “Santa Flight” for sick children from Temple Street Hospital followed by a party back in City Jet Headquarters this week. 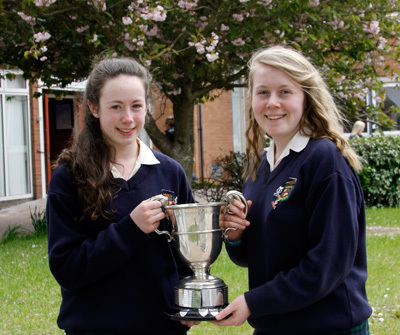 Both Junior & Senior students are involved in Loreto Mace Debates this week. A school team are in the Loreto Swimming Gala on Friday. A number of T.Y. students are involved in a Gael Linn course all week. The school Senior Choir made a recording of “Rutter’s Christmas Lullaby” this week for Lyric FM – Carols for Christmas. Well done to the hockey team on their performances this week. The school chaplain, Ms. Anne Kenna would like to advise that Dr. John Sharry will give a one-day parenting teenagers course on February 2nd, 2013 in Wynn’s Hotel, Dublin. See solutiontalk.ie. Well done to the Second Year students involved in the Mace debates on Wednesday. 1st Years and 6th Years received HPV vaccinations this week. 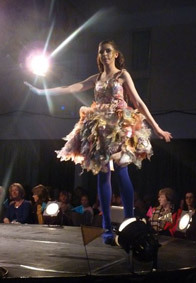 Congratulations to the Transition Year students on their fabulous Fashion Show on Tuesday, Wednesday and Thursday. They played to packed houses each night. 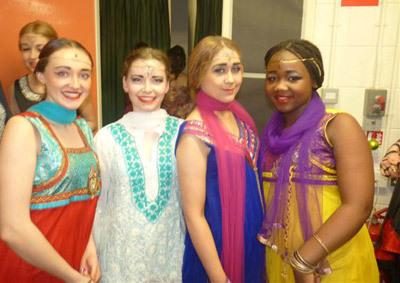 The theme of the Fashion Show was “Bollywood”. Thirty senior students attended the Royal College of Surgeons for career information on Thursday. Well done to the French debating team of Kelly Meehan Brown, Deridre Harford, Hannah Redmond and Ruth Hanrahan on their debate during the week. Well done to the hockey and volleyball team on their performance during the week. Congratulations to Iconic Dance Crew on reaching the final of the Coca Cola School Stars Competition. They are now in the top 20 acts out of an original 1,722 acts who auditioned. The girls will perform in the final which is judged by Louis Walsh on Tuesday 11th December. 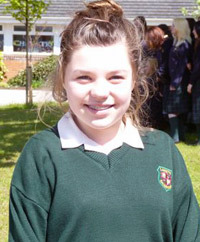 Congratulations to Alice O’Neill who qualified for the next round of the Soroptimist Competition. 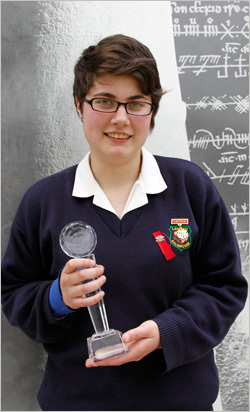 Well done to Serena Oster on winning a D.C.U. 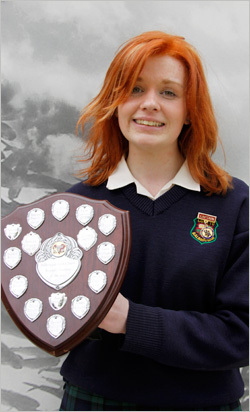 award for one of the highest marks in Leinster in her Business Studies. 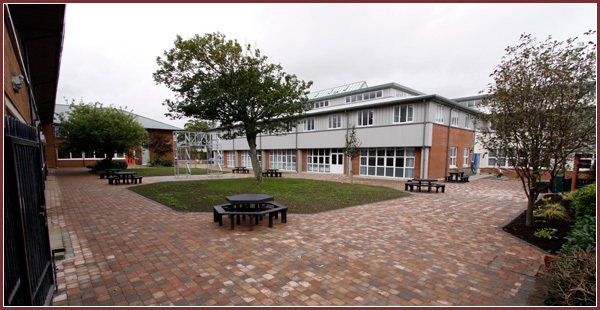 The school welcomes Whole School Evaluation – Managing, Leading, Learning for an inspection on December 3rd, 4th 5th. 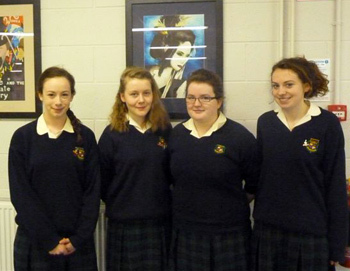 Congratulations to the following students who received Entrance Exhibition Awards in T.C.D. based on their Leaving Cert results (over 560). 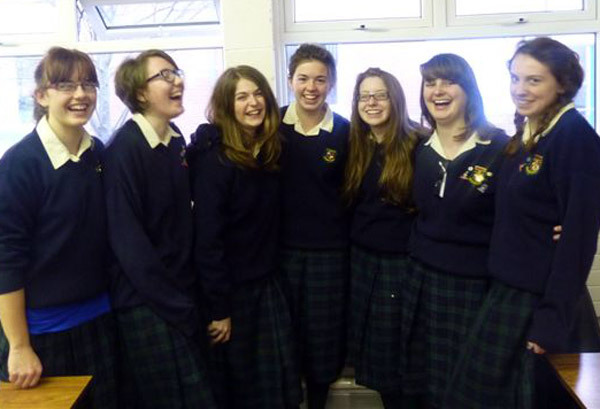 The six girls were: Grainne Barrett, Deirdre Coleman, Eadaoin O’Connor, Clare Donegan, Natalia Duda & Niamh O’Connor. Congratulations to all the sports this week – hockey, soccer, basketball and Gaelic football. Especial congratulations to the First Years who won their Fusbol blitz. Sixth Year students visit the National Concert Hall on Monday for a performance of their Leaving Certificate set pieces. Class 2E have undertaken an action project as part of their C.S.P.E. class. They are collecting old phones, in any condition, for Irish Autism Action. If 185 phone are collected, an IPad will be got for an autistic child. Please support this project by bringing old phones to Ms. Monks in Room 10. Alexa Donnelly, past student, gave a MACE Debating workshop to our senior Mace Debating team in preparation for the Loreto Mace competition. Eucharistic Ministers were commissioned during the week. 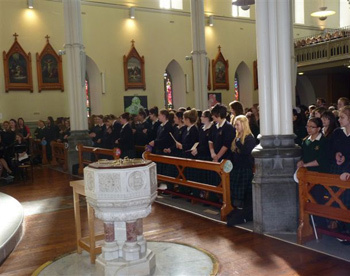 The Mass and commissioning was organised by Ms. McNally and Ms. Kenna. Fashion Show tickets are now on sale. Best wishes to Ms. Lennon and her team on this artistic extravaganza. The school is celebrating Science week this week with a number of events, notably quizzes, posters and a general Science awareness campaign. Second Years are visiting the W5 Science Museum in Belfast. 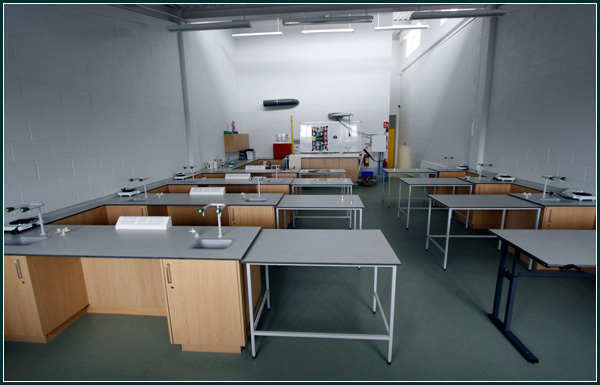 The Science Teachers along with Science Captains, Fiona Carter, Maria Gordon, Mieke Guinan, Coleen Kelly, Amber Lacey and Clodagh Sullivan have organised the week. Fire Drills occurred this week. Well done to the hockey, soccer teams on their performances. The Junior Gaelic team had a Gaelic blitz this week, organised by Mr. Cox and Ms. Lynch. The Sixth Year Parent/Teacher meeting took place on Thursday, 15th November. The school is having a Whole School Evaluation in the week beginning December 3rd. Transition Year Home Economics class visited Teagasc during the week. Three Transition Year students participated in the Gael Linn debates. They were Nell Garvey, Alice O’Neill and Rachel Taylor. 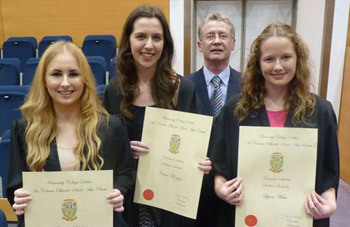 Congratulations to Lauren Fanning, Ciara Mongey and Lynn White who received Entrance Scholarship Awards in U.C.D. based on their Leaving Certificate points. Congratulations to the following who are the leads in the T.Y. 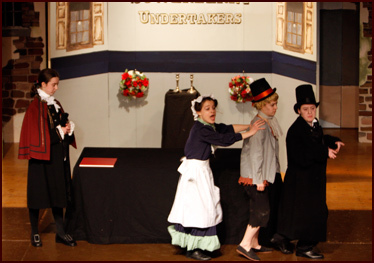 Musical “Oliver”, Bill Sykes – Susan Reilly, Nancy – Hannah Hawkshaw, Oliver – Niamh McGowan, Dodger – Izzy Rioch, Fagin – Aoibhean Corcoran, Mr. Sowerberry – Eimear Fitzpatrick, Mrs. Sowerberry – Caoimhe McGowan, Widow Corney – Fiona Garvey, Mr. Brownlow – Susan Grimes, Mr. Bumble – Edith Donnelly, Bet – Jessica Sweeney, Mrs. Bedwin- Arwen Sullivan, Charlotte – Eimear Fairbrother Taaffe, Noah - Sarah Monaghan, Dr. Grimwig – Molly McDonnell. 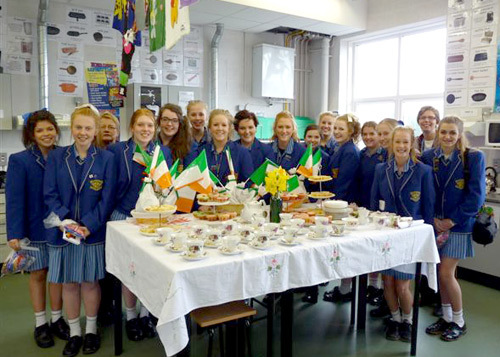 The Irish lunch for Sixth Years began this week. Sixth Years meet over lunch and speak Irish. Ms. Whelan is in charge of this initiative. Well done to the soccer and Gaelic teams on performances this week. 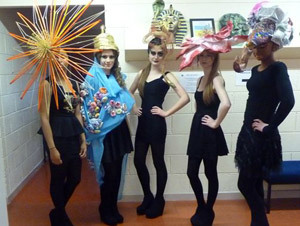 Transition Year students are busily preparing for the Fashion Show. Its theme this year is “Bollywood”. Pic below. Transition Years and Second Years had their retreats this week. Congratulations to Una Reynolds who won an Entrance Exhibition Scholarship in N.U.I., Maynooth based on her Leaving Certificate points. Una is studying German, History and European Studies. The Third Year Parent Teacher meeting took place this week. Shane Martin gave a motivational talk to Sixth Years this week. Shane has been working with the school for a number of years and is known for his inspirational talks. 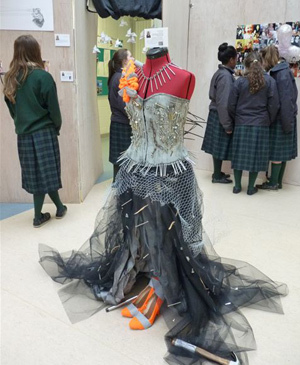 Transition Year students are busily preparing for the Fashion Show. Its theme this year is “Bollywood”. Congratulations to Rachel Taylor who won the prestigious I.L.G.U. Junior Medal at Seapoint. Rachel was one of sixty girls who qualified and won with 42 points. Laura Cody came sixth with 36 points. 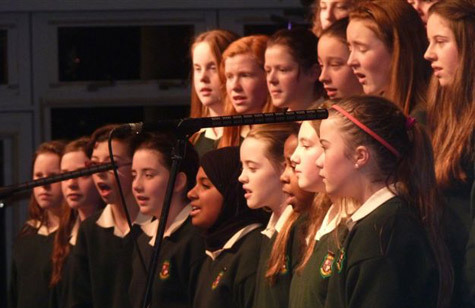 A wonderful Ceol Loreto Gig took place on Thursday, 25th October. The orchestra, Senior Choir and a host of other talent performed on the nights (pic below). Sixth Years had their week of directed prayer this week. It was organised by the Loreto Prayer Ministry. Transition Year are at present enrolling for the Gaisce Award. Details can be obtained from Ms. McCaul. Well done to the Senior hockey team on their performance this week. Well done to the Senior G.A.A. team on their victory over Loreto, Swords. Congratulations to Hannah Hawkshaw, Iconic Dance Troupe and Kala Whelan who have reached the semi-finals of the School Stars Competition. 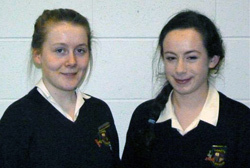 Students attended both Comhairle na nOg and Loreto Student Council on Wednesday, 24th. 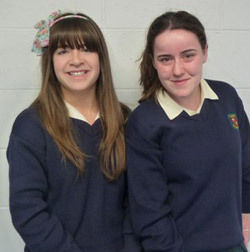 Kate Mahon and Neasa Whearity were elected to the council of Comhairle na nOg. 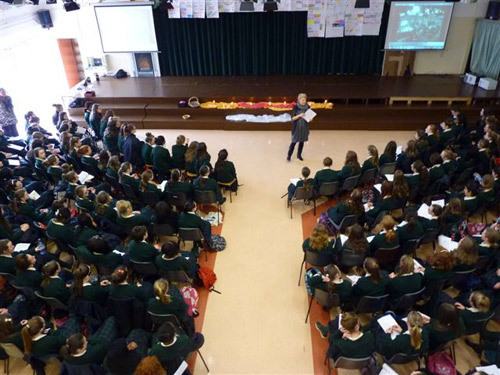 The Transition Year English classes performed their Shakespearean adaptation on Wednesday, 24th October. Best of luck to the following school acts who have qualified for the quarter finals of the School Stars competition: Iconic Dance Group (below), Hannah Hawkshaw, Uxoa King, Harma, Kala Whelan, Fiona Garvey & Alice Kiernan. Home Economics students had a talk from Bord Bia during the week. See notice board for further details. Well done to the Senior Basketball team on their performances during the week. 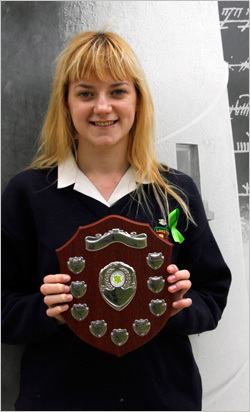 Well done to Chloe Gray on receiving a Youth Sports Achievement Award from Balbriggan Town Council on Thursday evening. Sixth Year Geography students took their field trip for Leaving Certificate to Portrane beach this week. 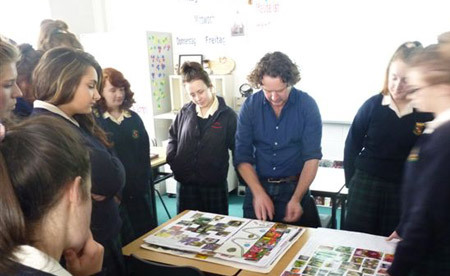 Renowned gardener Diamuid Gavin visited the school this week to talk to Transition Year Horticultural students. Transition Years had their annual blessing for the year ahead. Ms. Kenna and Ms. McNally organised the blessing. 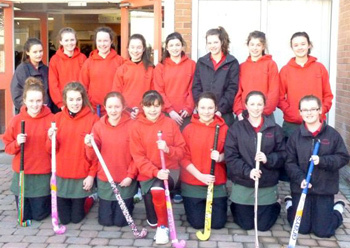 Best wishes to the First Year Hockey team on their first match against Skerries Community College. The Senior Choir have been invited to participate in a demonstration rehearsal at the Post Primary Music Teachers Association conference. They will join with Clongowes Wood College choir under their conductor, Alan Leech. Well done to Sophie Donnelly on winning the first round of the Denny Public Speaking Competition. T.Y. 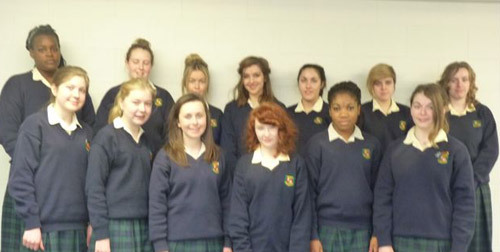 students attended a Law Seminar in Independent College Dublin on criminal and civil cases. Students were given a talk on the issue of privacy and social media in employment law by head of the college, Val Corbett. 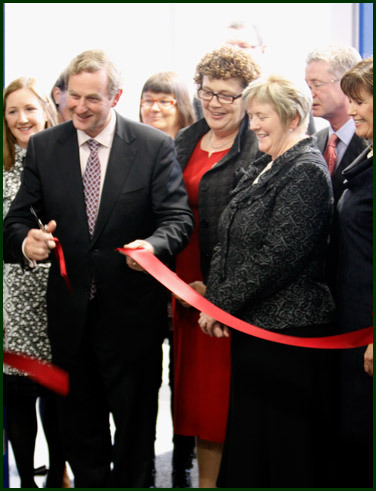 Gracefield House was opened by An Taoiseach, Mr. Enda Kenny. A wonderful opening ceremony included a wonderful performance from the Senior Choir, a section on past memories, blessing and reflection. On the same night, 4th, 5th and 6th class pupils, from the surrounding areas, attended an opening evening in the school, accompanied by their parents. The various school departments put on displays and demonstrations related to their subject, for the visiting young girls. Students attended the Loreto Justice and Peace Conference in Emmaus during the week. Transition Years had a photography workshop. New students to the school between 2nd and 6th Year had a welcome lunch hosted by Ms. McNally and Twinning Captain, Ciara Wynne. Well done to the basketball team on their performance during the week. Transition Years are on a Sports/Adventure weekend in Carlingford. Third Year Geography students are visiting the Burren this weekend as part of their coursework. The Parents Association A.G.M. took place on Tuesday, 2nd. 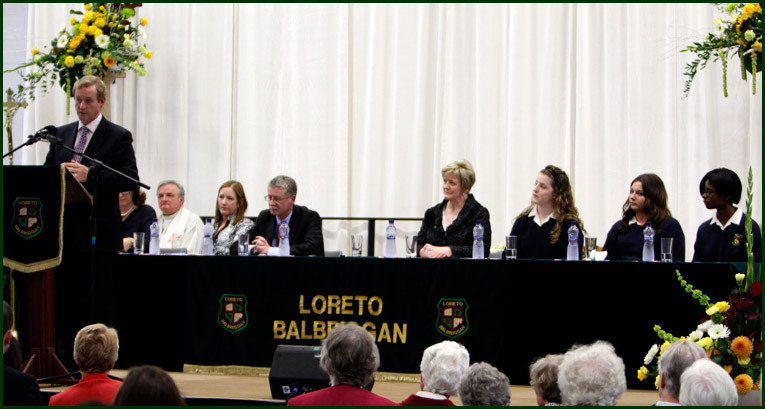 The key note speakers were Ms. Frances Ward, Ms. Linda McKenna and Ms. Caroline McHugh, all teachers in Loreto. The focus of the evening was “Key Skills for Success at School”. Well done to the senior G.A.A. team on their victory during the week. 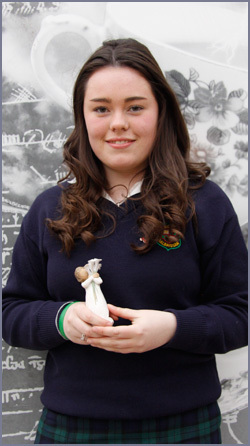 Well done to Juliette Bosschaert on qualifying as one of the talented students who may be chosen to represent Ireland at the International Junior Science Olympiad in European Union Science Olympiad. Well done to the French debating team who won their debate against St. Michael’s College, Ailesbury Road. They are Deirdre Harford, Ruth Hanrahan, Kelly Meehan Brown, Hannah Redmond and substitutes, Serena Paraschiv, Lucy Le Blanc and Kate Rogers. Deirdre Harford won the Best Speaker. The school are delighted that 20 different projects have been submitted for entry into this year’s Young Scientist competition. 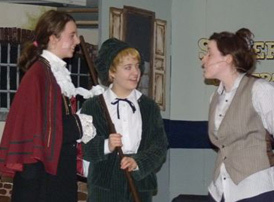 The French Theatre company put on a drama for Second and Fourth years in the school on Monday. The school facilitated vaccinations for the H.S.E. on Tuesday. Well done to our two Basketball teams on their matches during the week. 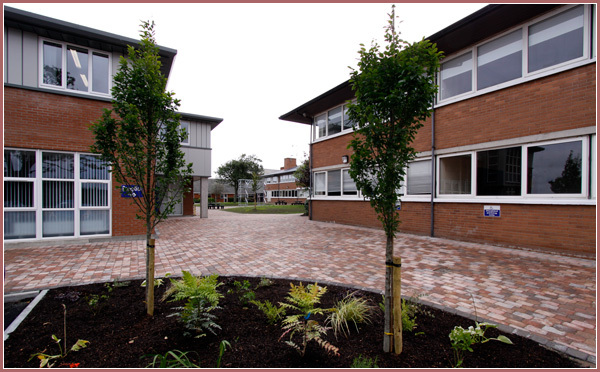 Preparations for the official opening of Gracefield House on October 11th are ongoing. 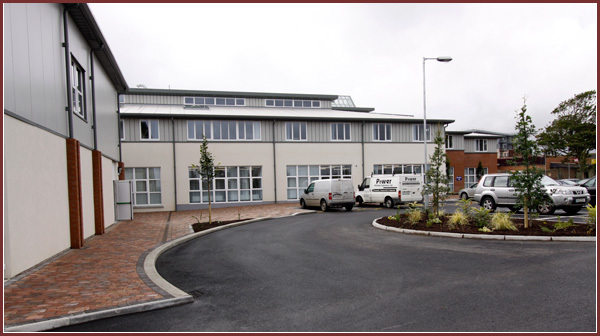 An Open Evening will occur on the evening of October 11th between 7 – 9 p.m. The Random Selection Draw for Category B and Category C of our First Year Intake, September 2013 occurred on Wednesday, 26th. Details in relation to places will be forwarded to parents/guardians. Transition Year students took their D.A.T.s test. These are a range of tests to help students ascertain their various aptitudes. The tests involve verbal reasoning, numeric reasoning, abstract reasoning, perceptual speed and accuracy, language usage and so forth. Senior students attended the Higher Options Conference in the R.D.S. This event helps the girls choose their college courses. 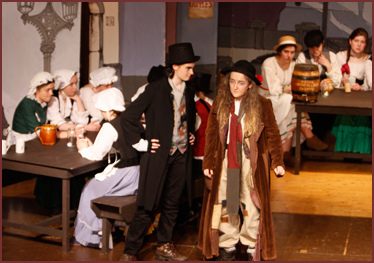 Transition Year students continue with auditions for this year’s musical “Oliver”. 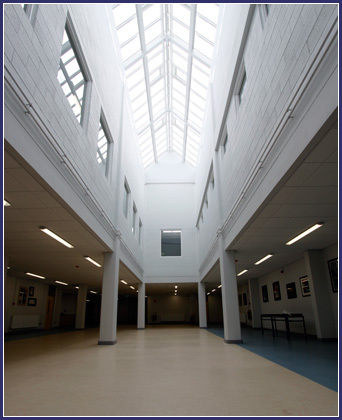 The lottery for Category B and C students will take place in the School Hall on Wednesday, 26th September at 7.30 p.m. 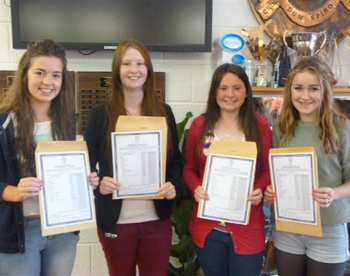 Junior Certificate results were given to students on Wednesday, 12th September. 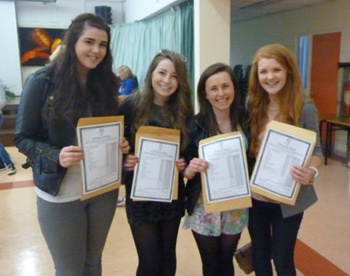 Congratulations to the girls on their fantastic results. 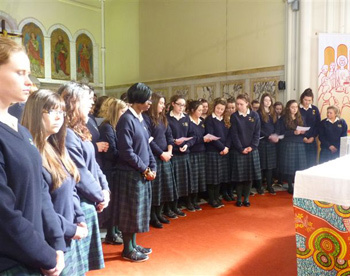 The mass for the Opening of the School Year was held in Balbriggan Parish Church. It was a wonderful liturgical celebration. The school Information Meetings for incoming First Years, September 2013 took place on Monday & Tuesday. Registration will occur on Wednesday, 19th September. at 7.30 in the hall. An application pack will be distributed at these meetings. The school will be open from 6 - 7 for a tour of the facilities. News Update, August 31st, 2012. The school welcomed back staff and students for the new academic year. Senior Prefects received training from Shane Martin on Friday, 31st August. 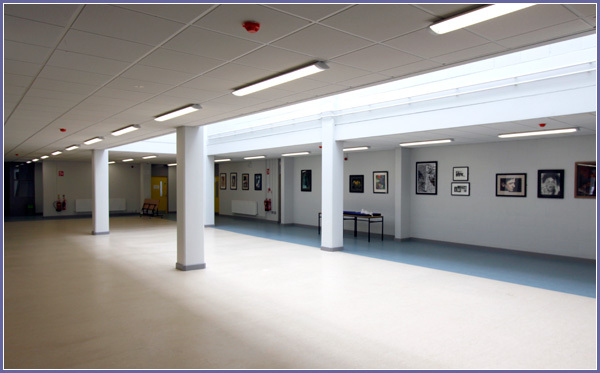 Staff and students alike are delighted with the facilities in our new extension, Gracefield House. News Update, August 24th, 2012. After a long summer, during which there was a lot of hard work done trying to get our large extension ready, the finishing touches are presently being added. It should be fully ready for next Monday. Scroll through the gallery below to see some pictures of this fantastic extension nearing completion.